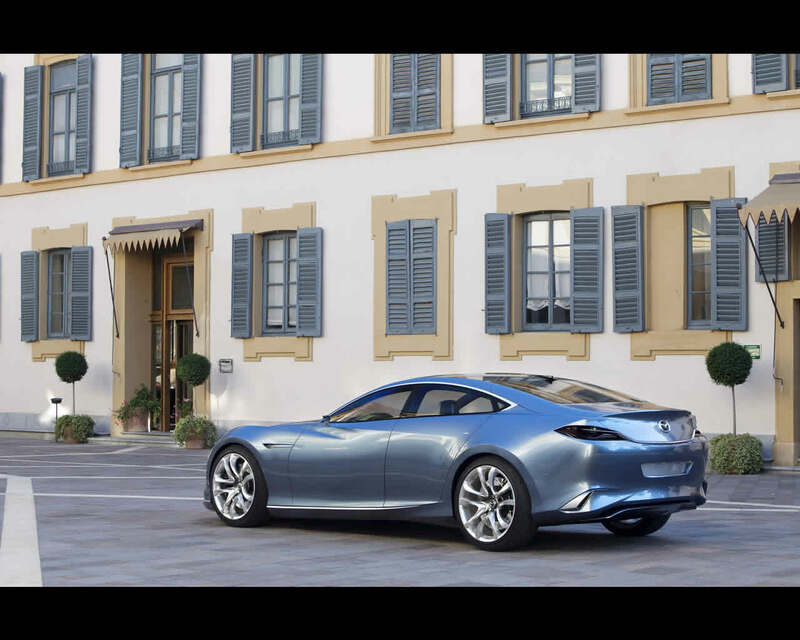 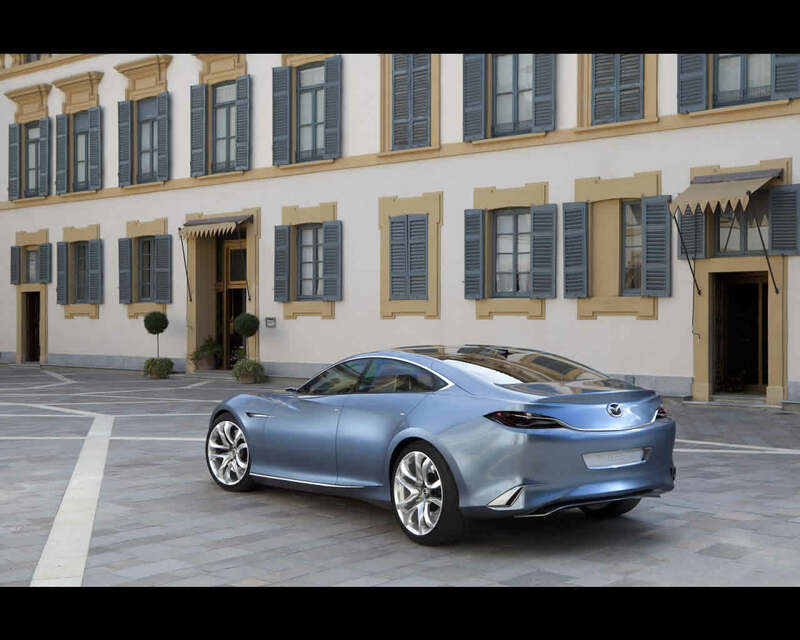 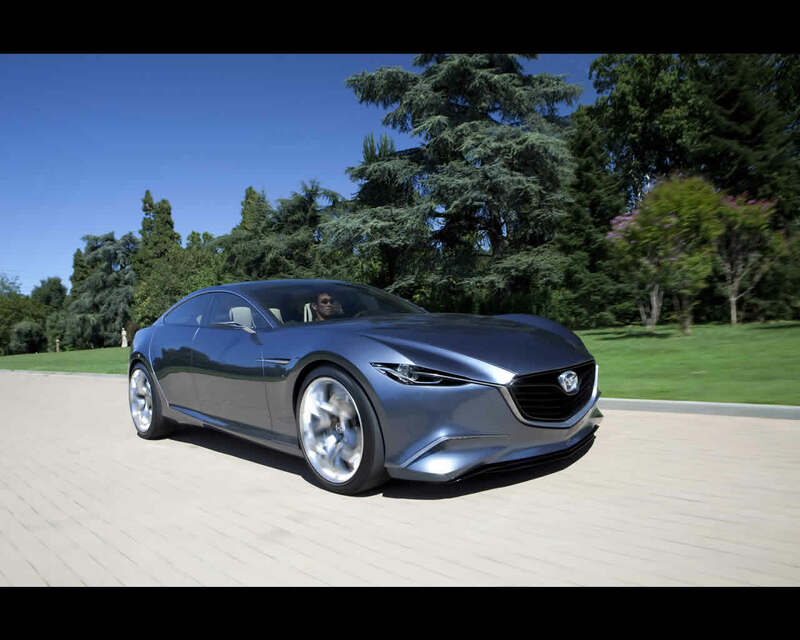 The Mazda Shinari Concept is a 4 door, 4 seats sports coupé illustrating the new "KODO- Soul of Motion" design theme in its idealized form. 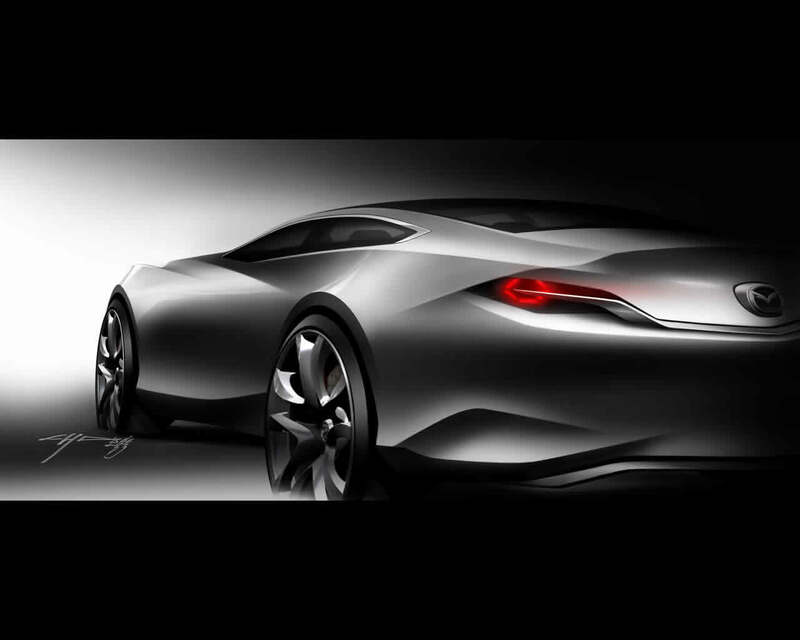 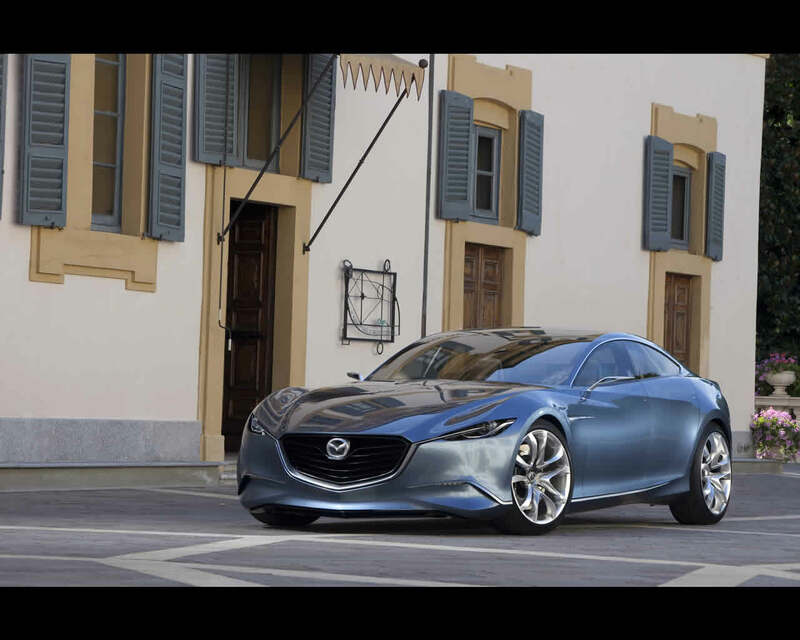 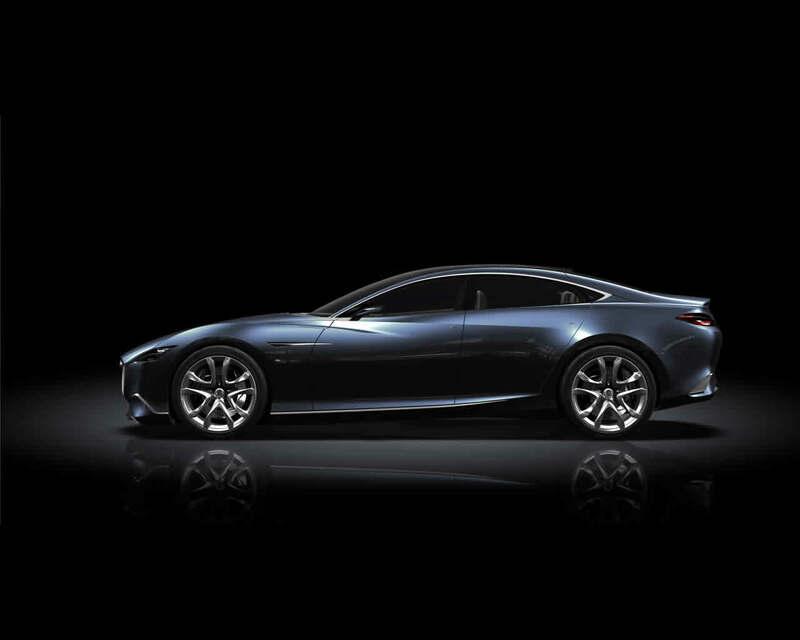 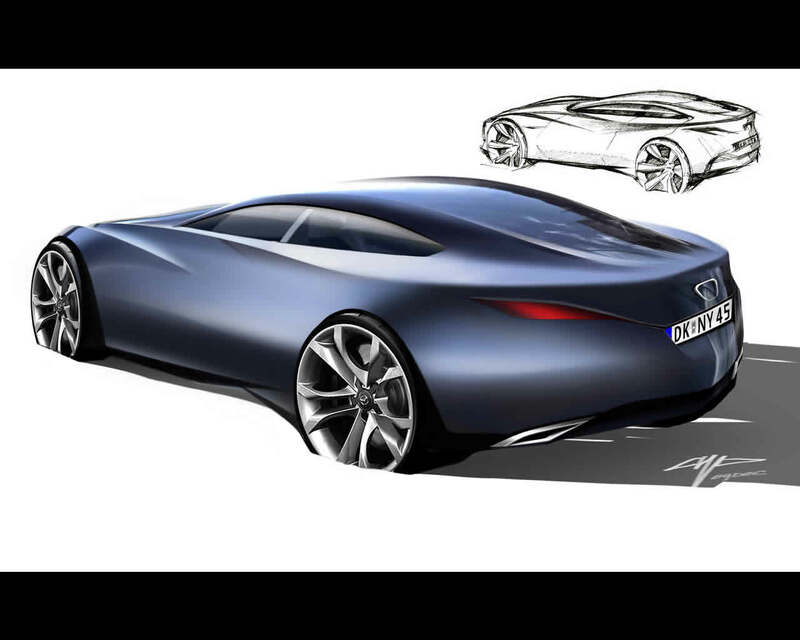 The Mazda Shinari Concept showcases several new design elements that will carry forward into production. 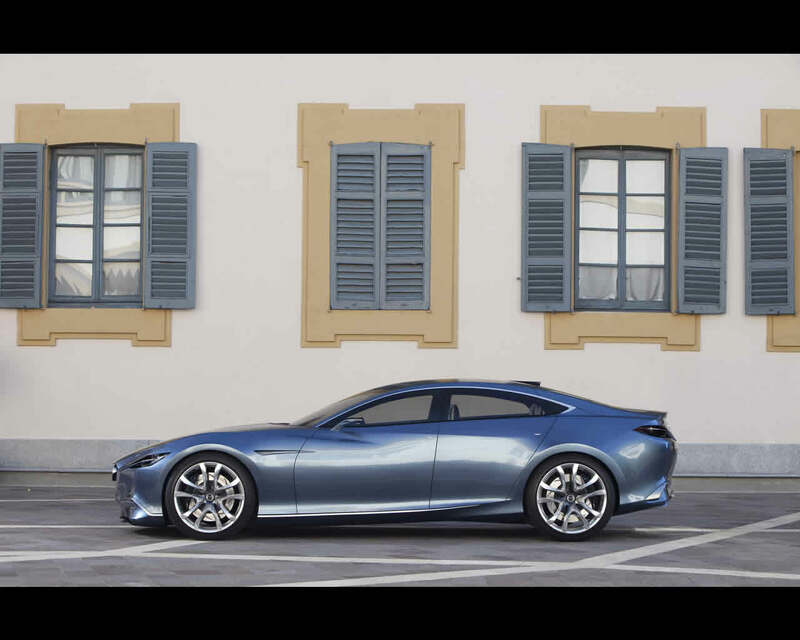 The Japanese word shinari describes the powerful yet supple appearance of great resilience force when objects of high tensile strength, such as steel or bamboo, are twisted or bent. 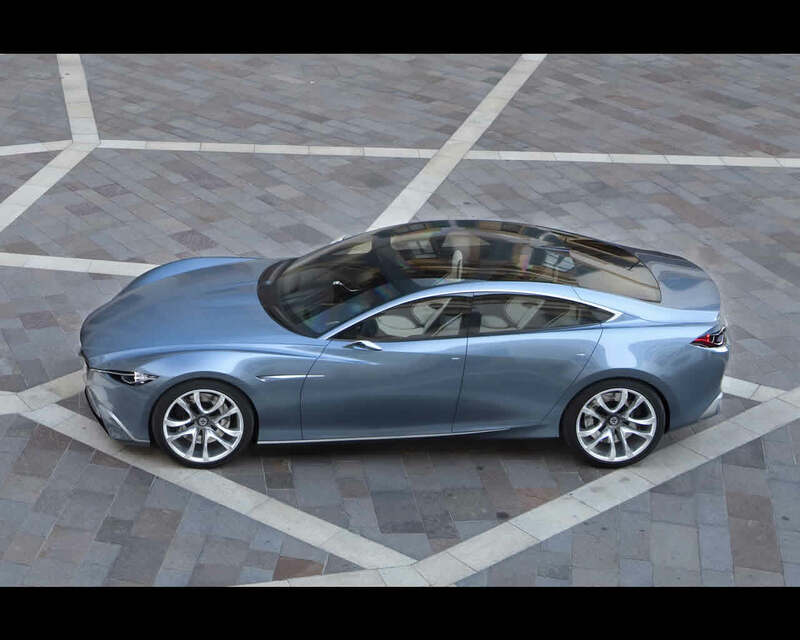 It also refers to the appearance of a person or animal as it flexes its body in preparation for a fast movement, and it is these images that form the basis for the name of this concept car. 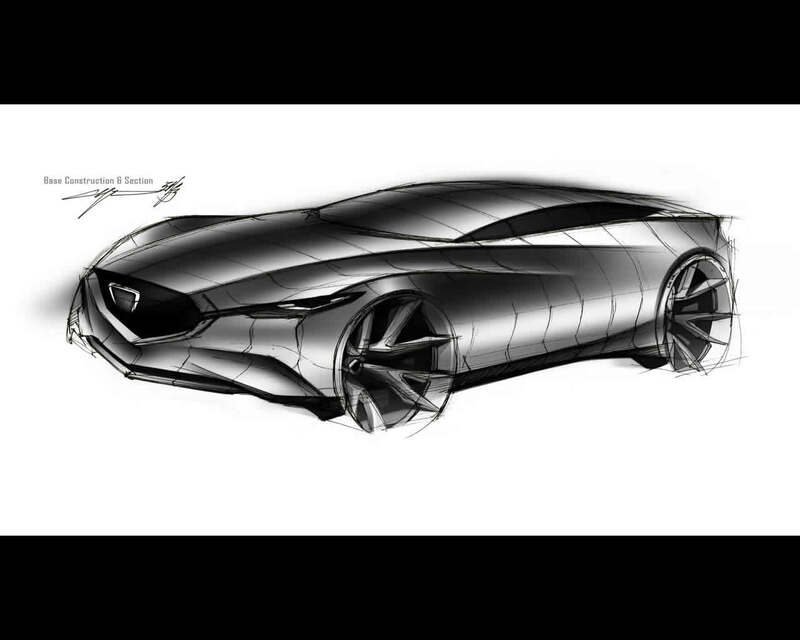 Ikeo Maeda, the head of Mazda's Design Division, explains the new design theme in this way:" In our work to further evolve the expression of motion, Mazda design has focused on the strength, beauty and tension found in the instantaneous movement seen in animals. 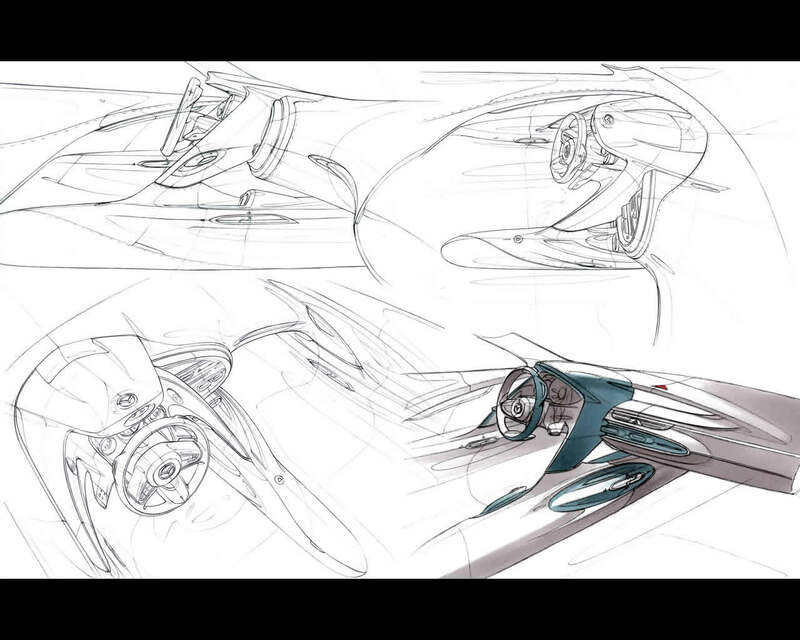 This motion that is so full of vitality that it stirs the emotions of those who see it. 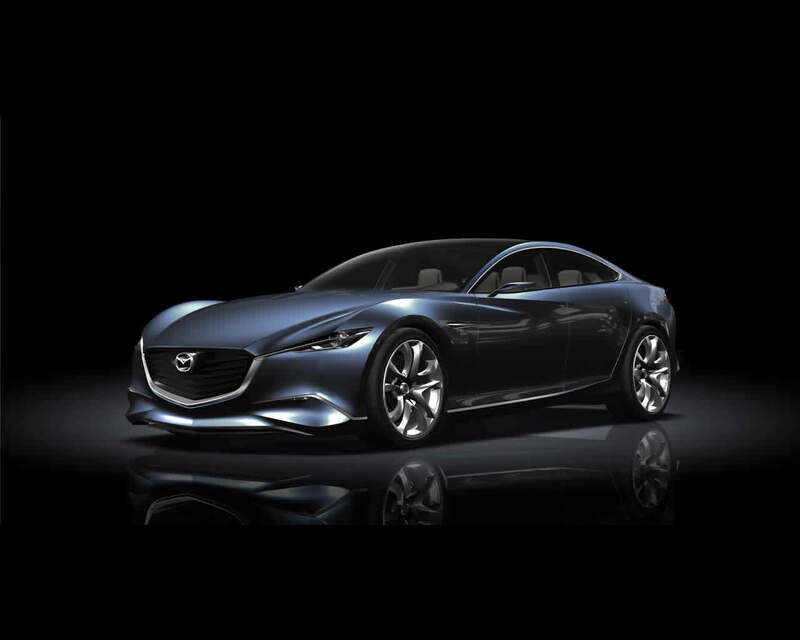 we have named it "KODO- Soul of Motion", and our aim is to express movement with forceful vitality and speed as the design theme for Mazda's upcoming models." 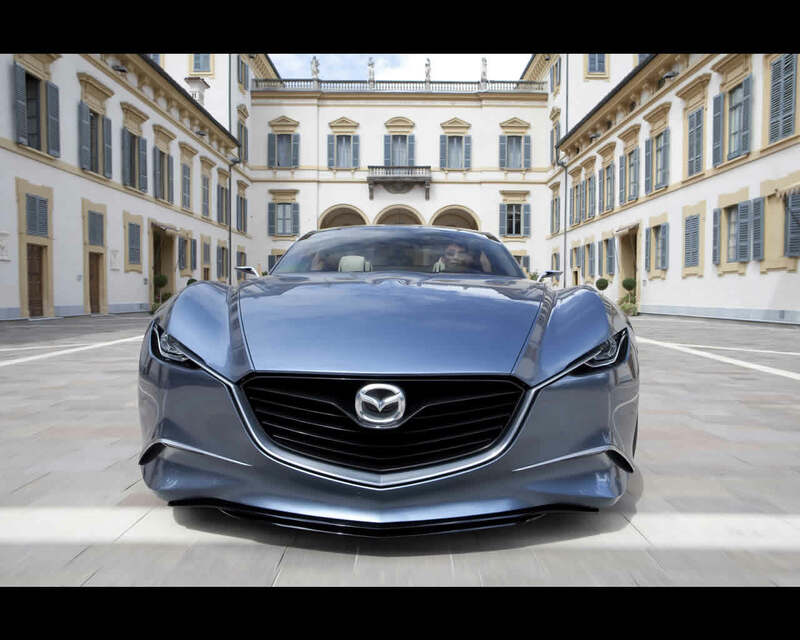 Maeda continues, " Mazda four design studios located in Japan (Hiroshima and Yokohama), Europe (Frankfurt, Germany), and North America (Irvine, California) are currently combining to take up the challenge to achieve a breakthrough in the expression of motion in car design, and incorporate this expression into our future products."